According to the World Health Organization, 15 percent of the world’s population have a disability; 60 percent of persons with disabilities are women, or approximately four million Kenyan women with disabilities. Women are often marginalized, encountering attitudinal, institutional, and other barriers to their political participation, an effect that is compounded for women with disabilities. In order to amplify the voices of Kenyan women with disabilities to participate in political life, the International Foundation for Electoral Systems (IFES) and Women Challenged to Challenge, a disabled people’s organization (DPO) run by women in Kenya, are implementing the Power to Persuade: Empowering Women with Disabilities to Influence Public Policy initiative. 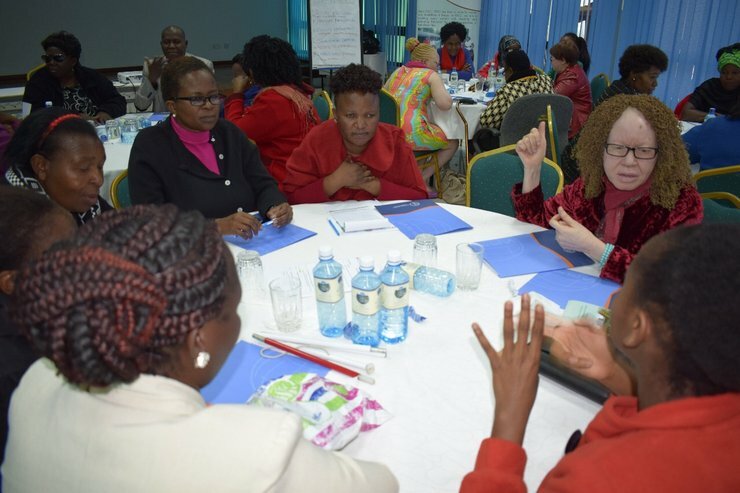 On July 31, women disability rights advocates gathered in Nairobi to develop a platform on policy priorities to enhance access of women with disabilities to decision-making processes. The workshop, supported by Global Affairs Canada, brought together 40 advocates with disabilities from across Kenya. Participants identified key issues to be addressed, such as access to political processes, and developed action items to advocate toward the implementation of the platform. Participants formed a working group that will continue to develop and finalize the platform. Later this year, workshop participants will meet with newly elected candidates to discuss the issues identified in the platform.